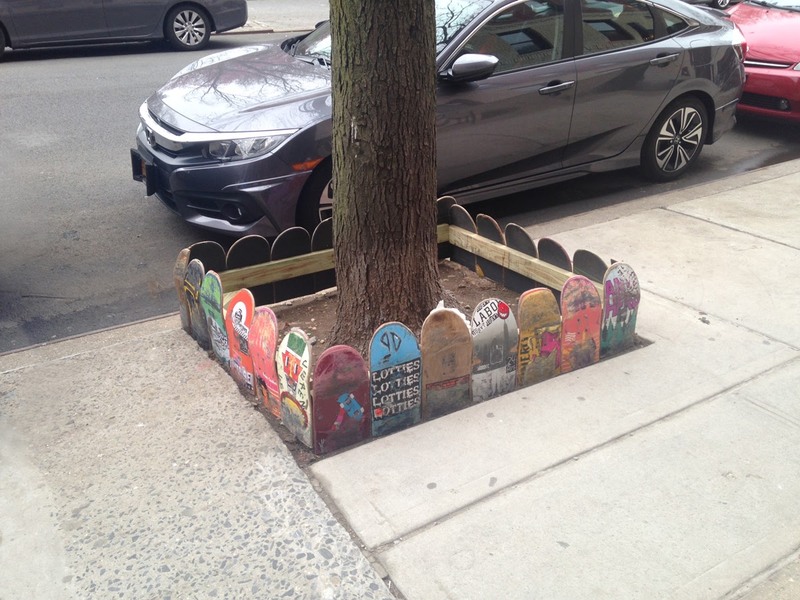 You can say a lot of things about the tree guards in the East Village, but only one of them can be called "sick"! It's very likely that one or more local ams focussed these decks. I just wonder if they'll be able to land a slide off this ledge?